Climate change is behind the rising incidence of heatwaves, extreme weather events and spread of mosquito borne infections impacting human health worldwide. The main driver of climate change is fossil fuels such as coal, gas and oil. NSW, Victoria and Queensland derive over 80% of its power from fossil fuels. 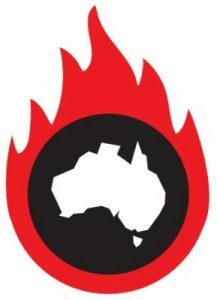 Black coal is the main source in NSW and Queensland and brown coal in Victoria. Australian black coal emits 0.9kg of carbon dioxide or CO2 per kilowatt hour, while brown coal emits 1.2 to 1.5 kg of CO2 per kilowatt hour. Solar energy does not produce CO2. Despite this, the NSW Government is ceasing the 60 cents per kilowatt hour subsidy in December 2016 for owners of solar panels in NSW. There is much we can do collectively and as individuals to minimise global warming to less than 2 degrees in line with the Paris agreement, which Australia has recently ratified. We can make a difference, and it is vitally important that we try. The only choices of vehicles with a low carbon footprint are the electric and hybrid cars. The Green Vehicle Guide website is an Australian Government Initiative where you can check the CO2 output of your car. This is the largest reduction in my carbon footprint. I switched my energy retailer to one which sources all its power from renewables. There are several now on the market. My annual electricity consumption according from my last bill prior to my switch to solar energy was 13.34 kWh per year. My 4kW solar panels have produced 2.86 MWh since their installation six months ago. My average energy production is 20 -25 kWh per day and my usage is 8 to 12 kWh per day in the month of November. I also installed a 7KW battery with smart technology. The smart software, developed in Australia with funding from the Australian Renewable Energy Agency, is the only technology available to allow my battery to trade in the National Electricity Market. When the batch price for electricity is high, my battery sells power to the grid, and when the batch price is low, it buys electricity. This can be tracked in real time by the associated app. I have made a profit of $95 from the sale of my electricity to the grid in six months. I have my own power station. This is a revolutionary idea which needs to be supported. The company is Reposit. This is the practical outcome from the federal funding for ARENA. Lighting can contribute to over 30% of the household bill. There is no doubt that LED lighting is the most energy efficient lighting. To have a light output of 220 Lumens, you will need a 25 Watt incandescent, an 18 Watt Halogen or a 5 Watt LED. I halved my electricity bill by changing all my lights to LED. Eat locally sourced food. There is a plethora of farmers markets in all our urban centres on the weekends. Grow your own fruit and vegetables. Plant more trees. I have a variety of fruit trees – apple, guava, tahitian lime, valencia orange, tangelo, mango, cumquat and lilly pilly (people see this as a hedging plant but it has lovely citrusy fruit). 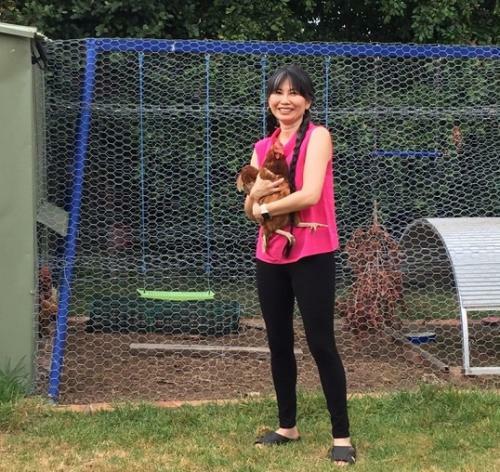 Buy chickens as pets (they can be affectionate if you pick the right variety). I have had chickens for four years. I have a no food waste household. The chickens eat all the leftover scraps. The chicken manure goes into the compost and acts as an accelerator. We get two eggs per day. Buy a water-tank. I have a 4000 Litre water tank next to the external wall of my family room which further insulates it. Own your own carbon footprint. Engage those around you so that they can do the same. Together we can erode the need for fossil fuels. Without a healthy planet, we can’t have healthy people. 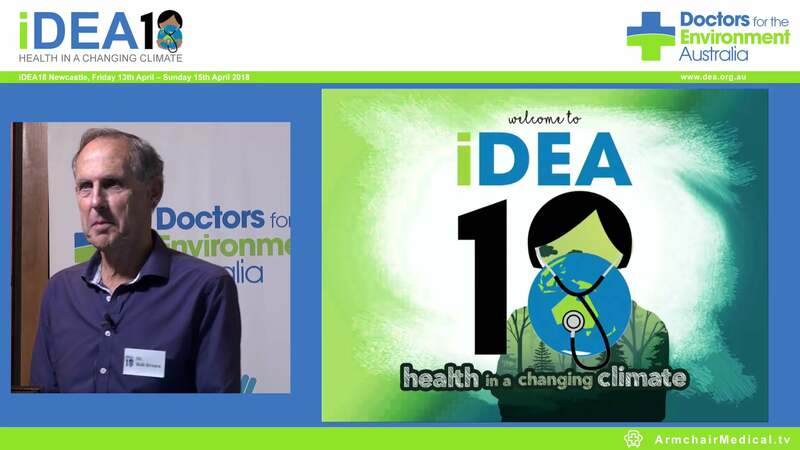 Dr Kim Loo is a GP in Glenwood, NSW, and a member of Doctors for the Environment Australia.